He’s also set two U.K. warm-up dates before heading across the pond. 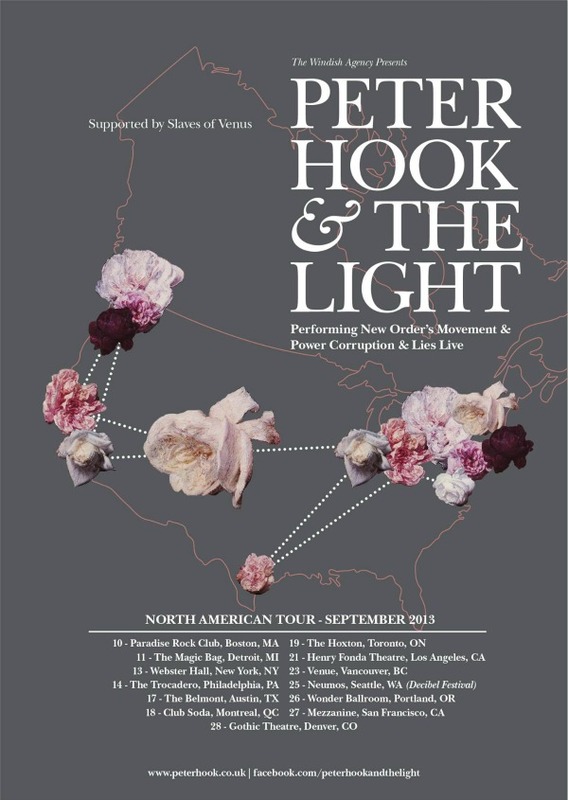 The tour, Hook’s first U.S. trek in two years, will also include a previously announced slot at Chicago’s Riot Fest, where he’ll perform an exclusive Joy Division set. The trek opens Sept. 10 in Boston and continues through Sept. 28 in Denver, hitting Riot Fest sometime between Sept. 13 and 15 and also including a Seattle show that is part of that city’s Decibel Festival. Yes, Chicago is the only Joy Division set. The rest is the New Order set.